Sometimes it’s the extras that make the outfit! And anything else you sew to wear! 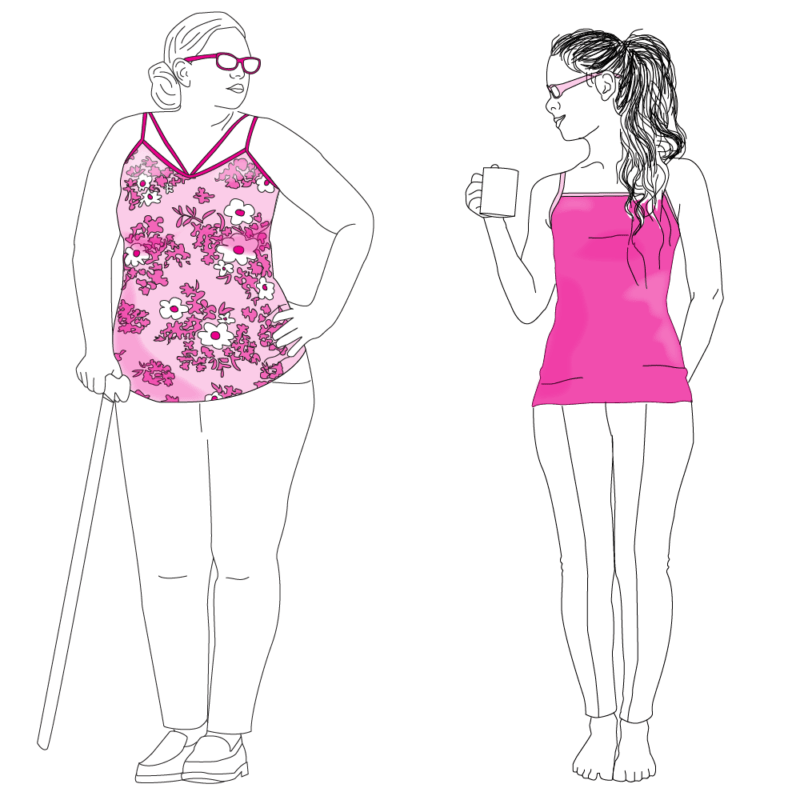 To get you inspired to sew along, here are a few patterns as ideas! You don’t have to make these specific patterns to take part in the challenge – pick whatever you like. 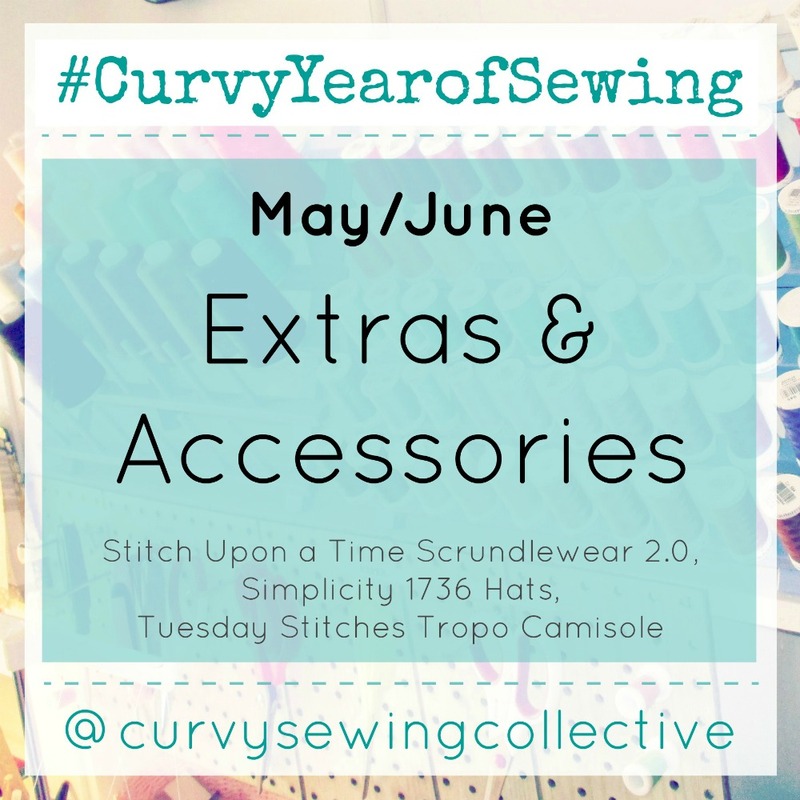 For more information on the #CurvyYearofSewing challenge, click here. This popular underwear pattern goes up to a size 4X (58″ hip) and has 2 different styles (briefs or boyshorts) and multiple waistband, leg and lace options. 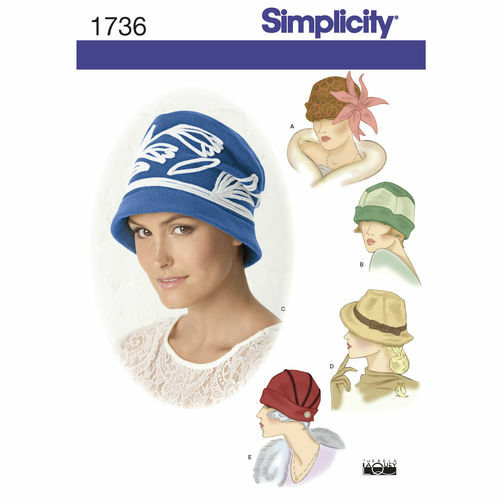 This Simplicity pattern has 3 sizes, and a variety of vintage styles. You can keep the vintage vibe, or with some different fabric choices, you can update them to a more contemporary look. The Tropo Camisole is a knit camisole, with lots of neckline and strap options, and options for a built-in shelf bra, or nursing front. It’s available in Tuesday Stitches sizes 0 – 24, and cup sizes from A/B to E/F. Cashmerette Patterns (yep that’s me!) is sponsoring the May/June theme with a $50 gift certificate. The prize will be given to a participant who sews an Extras or Accessories pattern and shares it on Instagram or in our CSC Community Group on Facebook with the hashtag #CurvyYearofSewing before 7/1/18. The winner will be randomly chosen. I have that hat pattern! I love seeing and wearing the extras, but do not make enough time to do so, and so I really appreciate this ‘extra’ push. These extra items are useful, and costs can really are up if you buy them off the store shelves, so making them yourself can be a serious money saver (scraps anyone?) And a source of pride. I encourage everyone to also check out library books that feature projects that fit this category – again, no cost and so many options and ideas. Also, it it easy to have fun with adding embellishments and extra creativity with low investment – high potential for reward. Have fun everyone!